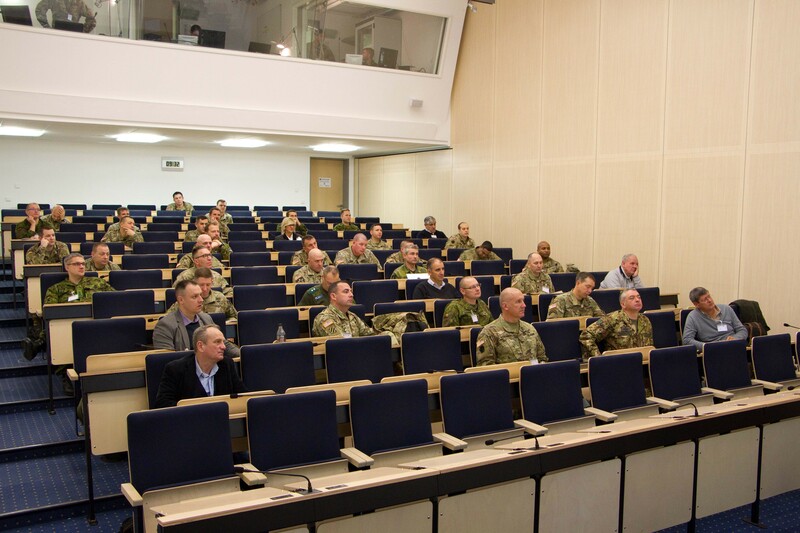 OBERAMMERGAU, Germany - The 2d Cavalry Regiment hosted a NATO Motorized Infantry Forum Nov. 6-8, 2017 at the NATO School Oberammergau to bring allies and partners together to discuss what each organization brings to the European deterrence mission. 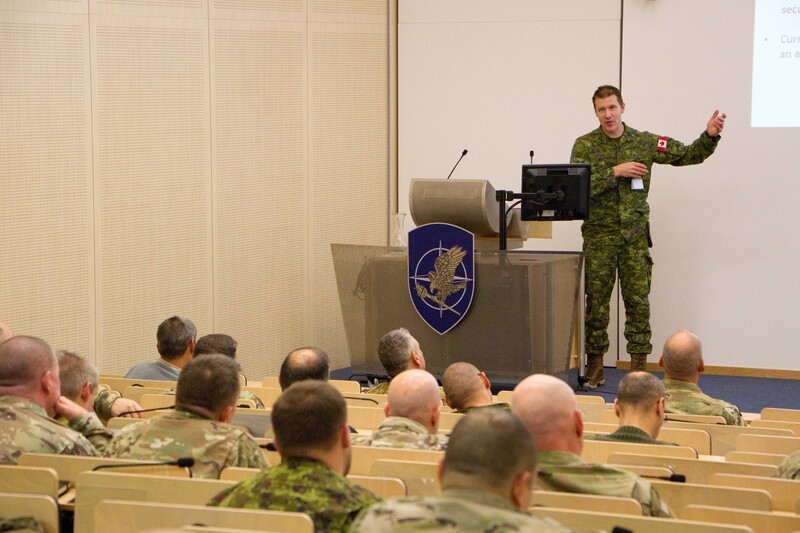 The Regiment's main objective for the first forum was for each nation to gain insight and learn about each other's weapons platforms and how they employ them to increase interoperability. "There's a lot of vehicles like the Stryker, the Panther, the Boxer, that all the members of the alliance use and what we realized is that we're running into each other at these great (training) events but we had no forum to come together and talk about the overall lessons learned," said Col. Patrick Ellis, the 79th Colonel of the Regiment. Representatives from Canada, Czech Republic, Denmark, Estonia, Finland, Germany, Greece, Hungary, Italy, Lithuania, Portugal, Sweden and 2CR attended the forum. They each presented a brief and lead discussions on the lessons learned using their equipment in their own formations. "This is a chance to bring together all the NATO allies into one place to discuss how we fight our organizations and the lessons we've learned that we can share across NATO as we look to increase interoperability in future exercises and potential warfare in the future," said Maj. James Perkins, the executive officer for 2CR. Topics of discussion included communications, reconnaissance, sustainment and what capabilities each nation will bring to future exercises and engagements. The 2d Cavalry Regiment will receive Stryker Dragoons in 2018. The new Stryker variant is basically an M1126 Stryker Infantry Carrier Vehicle with a turret-mounted 30mm cannon. Soldiers will be trained on the new system and provide feedback that will help leadership create doctrine. Also, during this forum, 2CR senior leaders will learn from the other nations on how they developed their doctrine. "The Army doesn't have doctrine for a 30mm canon on a Stryker, it doesn't exist. So, 2CR is going to create that doctrine and do those testing and evaluations for the Army as a whole," explained Perkins. "This is an opportunity to learn from our partners and allies how they've done it and how it changes the way they fight their organization so, we can develop our own way ahead in the future as well." "I've got a lot of notes in my book to go back and look at as we field our 30mm and develop new doctrine for the American Army. Things that we need to consider that other allies have already learned. The Danish Army, Finish Army and Swedish Army have had these systems for quite some time," Ellis said. The long distance movements the Regiment executes across Europe was also a topic of discussion. Although several nations have participated in these international vehicle road marches, 2CR takes the lead in coordination of sustainment assets. "We will also look heavily at sustainment because we've done a lot of long distance road marches, said Perkins. "We've worked with a lot of different allies so we look at how we sustain operations across Europe, what lessons (are) learned like will we have the right fuel couplings so we can draw fuel from each other's vehicles. We need to understand how each other's logistical systems work so that we can complement each other on the battle field and develop areas like that." 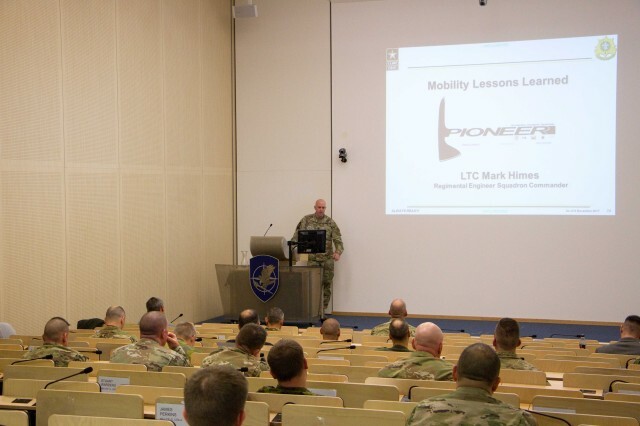 All in all the first held NATO Motorized Infantry Forum brought allies and partners together in order to increase shared understanding on the employment of a motorized infantry force in the European area of operation. "This is an initiative by 2CR and Col. Ellis to bring all these things together and we hope this will be the first of many to come and we will continue to build on the success for future years," said Perkins.